The rapid and exciting expansion of cell biology to produce novel proteins requires a new generation of cell culture media. 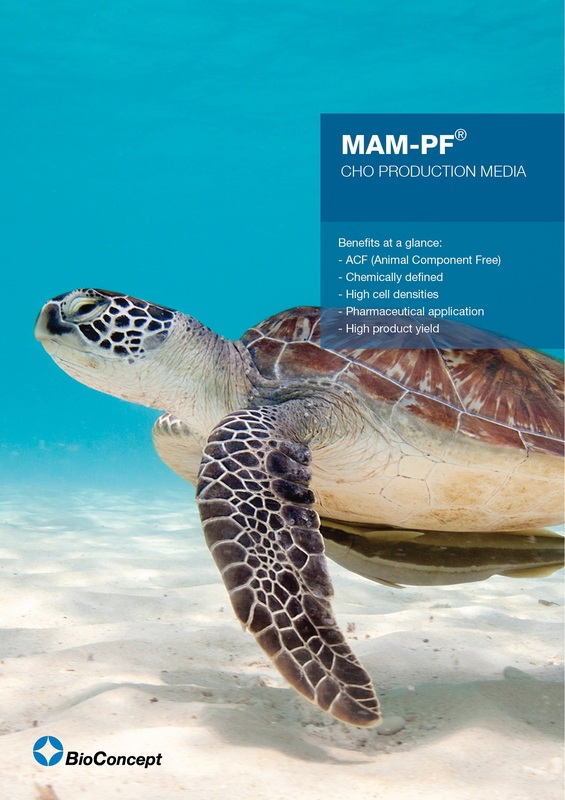 BioConcepts MAM-PF (Mammalian Artificial Media – Protein Free) and „Express“ line of media are tailor made to satisfy the needs of researchers and producers. These media for the cultivation of CHO, BHK and Hybridoma cells are fully defined with serum-free, protein-free and ACF (Animal Component Free) versions. ACF media are produced according to EMEA/410/01 rev2. – all components are certified animal component free – we hold a Certificate of Origin for every single component.